Not every pellet works with every rifle, and not every pellet is suitable for every task. As with choosing your rifle, understanding what you want to do is the first thing to consider when deciding what is the right type of air rifle pellet to buy. Not matter which pellet you choose, always keep in mind that you’ll get the value you paid for. So if you want to ensure good shooting, you need to be prepared to invest in a few established brands that are safe and high-performing. This may mean shelling out a few extra bucks to get the top air rifle pellets for accuracy. Below are the common air rifle hunting pellets and their typical uses. Air rifle pellets have come a long way and now the best pellets are being made of lead or alloy variations. The shapes have also changed, with the newest models having a relatively narrow waist similar to a wasp, broader head, and a skirt. The different types of pellets range in price, but like most things, the better the bargain usually means the quality is going to decline. Let’s have a look at each type of air rifle pellet that's available. Wadcutter pellets have a flat head with a slightly beveled edge. 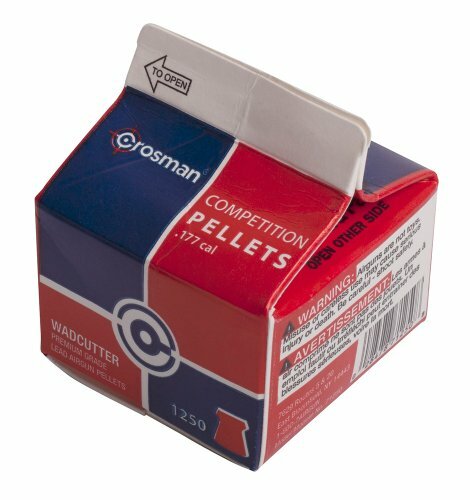 An example of these pellets includes the Crosman.177 Cal.7.4 Grain Wadcutter - one of the best pellets for .177 air rifle. These pellets are designed for low velocities; traditionally they were used for close range. 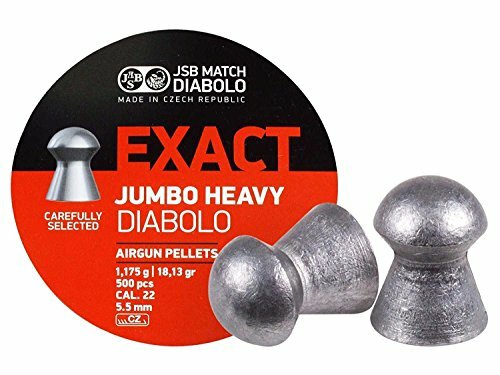 These pellets are suitable for shooting competitions because they make a nice hole in the target for accurate scoring. They are also built for laser-accuracy at lower FPS. It is worth noting that targets are not all that they are good for. Wadcutter pellets are also very effective for close range pest elimination, up to approximately 25 yards. These pellets work well with high powered .177 caliber rifles. Any pest found on the wrong side of these are unlikely to run away. These pellets are remarkably accurate, hence one of the top air gun pellets for accuracy. Domed pellets, as the name suggests, have a protruding head right after the driving band. This design adds weight to the round giving it more power and additional accuracy. Domed pellets are excellent for long range shooting. They are therefore one of the best pellets if you want to take down your prey quickly and humanely. These pellets work well with magnum-powered rifles. Hollow point pellets are similar to the dome head pellets except for the hollow addition on the front end. 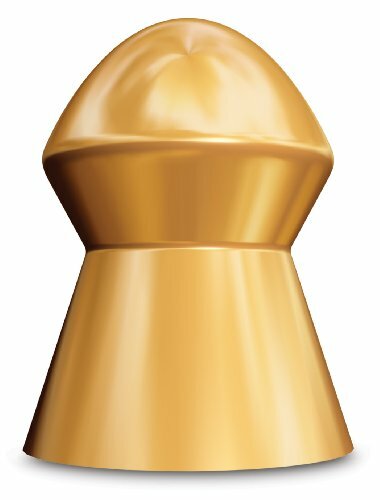 This hollow head expands when it hits the target thereby spreading the impact over a greater area. This impact improves the chances of a one-shot kill at close ranges. However, due to their light weight, they tend to bounce around too much in flight. They decelerate quickly making them unfit for long ranges. 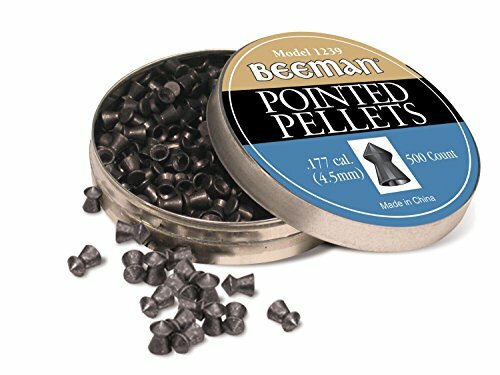 A good example of these pellets is the Benjamin 14.3gr .22 pellet. They are good for maximizing take down power and modifying the tendency of high powered .177 caliber rifles to shoot right through the game. They are among the best pellets for .177 air rifles. Pointed pellets are the best for hunting. They are designed for stable flight, accuracy, distance and increased penetration thanks to its pointed head. Some come with driving bands at the front to encourage rifling, but they can be a risk to velocity. These pellets are best if you are in the field, but if you’re indoors or at short ranges, this is not a great option. The increased penetration is a plus for slower .22 pellet or long range shots. For serious air rifle hunters, the pointed pellets are one of the best .22 pellets. Round lead ball pellets are meant to be fired from a high-powered air rifle. 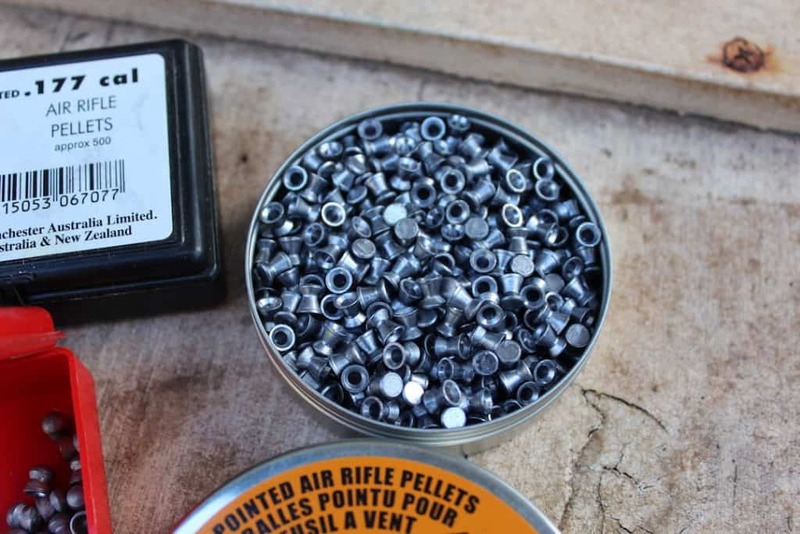 Before, you think of these pellets, make sure your air rifle can handle it. This is not a BB, so also don’t be fooled by the adverts. These are true .177, or .22 diameters. For you to fire using these pellets, you must make sure they are of the right size and weight. If they fall short of size or weight, don’t even think about firing these pellets from your rifle. These pellets have high penetration power making them ideal for hard target shooting. A PBA pellet is not a specific shape of pellet but a lightweight and non-lead pellet. They fire fast and break the sound barrier. 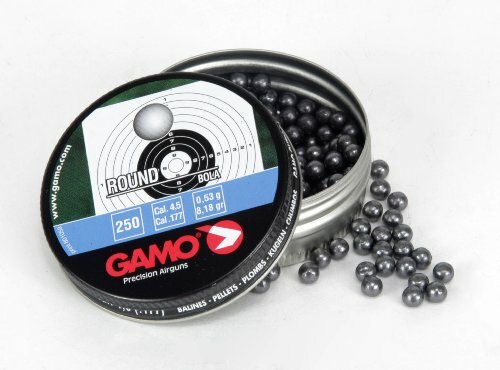 An example of these include the Gamo Raptor PBA 5.4 Grain Pellets and the PBA Platinum Pellets. More so, they are among the best pellets for accuracy. PBA pellets are most notable for wringing out a rifle's maximum FPS potential; they do it well by adding 200-300 or more FPS to your 1000FPS rifle. However, if your gun is already powerful, look for a heavier pellet than the lighter one. What are air rifle pellets used for? Air rifle pellets are used for three activities namely, competition shooting, plinking, and hunting. Many people buy air rifle pellets because they want to participate in a shooting competition. In shooting games, pellets that don’t break the sound barrier are preferred because they remain on course when fired. Shooters who are not too bothered with accuracy and just want to fire off a few pellets for fun will enjoy plinking. 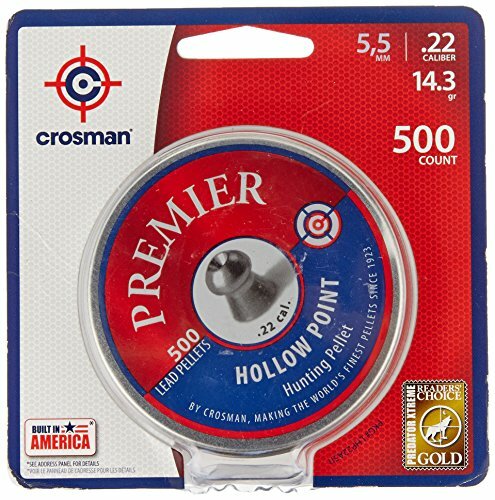 There are many options of pellets to choose from, but if you are a regular on plinking, then you can’t go wrong with a quality domed head pellet like Crosman Domed Premier Pellets. When hunting, the velocity of your pellets does not matter if it doesn’t hit your target. There are many pellets suitable for hunting, but the Crosman Domed Premiers are among the best air gun hunting pellets with high degree of accuracy for a fair price. How to choose an air gun pellet. There are no right or wrong air gun pellets, however there are many types of air gun pellets on the market that give above average performance and accuracy. This can be pretty confusing for beginners, particularly when you want to buy the best air rifle hunting pellets. Every air gun is unique, and therefore, each one has its ideal pellet for accuracy and speed. Choosing the best air gun pellet depends on your desired results. Remembering your desired outcome will determine the kind of air gun pellet you need to use. To learn what aspects to look for when buying pellets for your air gun and to make your buying process a bit easier, we have prepared the below guide for you. The weight of a pellet is an important aspect to consider. The weight of your air gun pellet will affect velocity, trajectory, flight stability and terminal performance. A heavy pellet is more stable in breezy conditions than a lighter one. It also maintains its energy over longer distances, and it will hit hard as you would expect. However, this doesn’t mean you should rush for a heavy pellet. Make sure your pellet's weight matches your air gun design capabilities and power. In hunting if you can’t hit the target, then nothing else matters. You may need to try several different pellet shapes to find one that has a high level of accuracy and works for you. You need to hit the target seconds after firing. So velocity is an important factor, choosing a non-lead and very lightweight pellets are likely to provide your air gun’s maximum speed. Air gun pellets come in different shapes designed to perform different shooting tasks. For instance, the domed-head pellets are great general use pellets, the Wadcutter are wonderful target pellets, and the hollow and pointed pellets are good for hunting tasks. So consider the task you are going to use your pellets in. The softness or hardness of your pellet will assist you to achieve the desired results humanely. The remaining energy at the target is crucial for a hunter looking for knock-down power. Hollow pellets are preferable as they expand on impact while the pointed pellets have high penetration power. To sum up, it is important to remember that certain aspects of a pellet that are important for one shooting task may not be important for another. For instance, the knockdown power is vital to a hunter but less important to a target shooter. It is best not to restrict yourself to one type of pellet. Keeping in mind that different pellets are used for different purposes, you should keep a wide variety of them on hand to meet your requirements. Buying the right pellets makes a difference, but correct pellet selection is also a matter of picking the very best pellet for your air gun. Having a great air rifle may not give you the desired results if the pellets you choose are not suitable or the best. If you want to achieve top scores, get the best pellets for accuracy for your super airgun. The pellets you choose are equally important to how and what you want to shoot. We now believe that you have learned enough to make an informed decision about the most accurate pellets for shooting. Now you just need a top air gun!